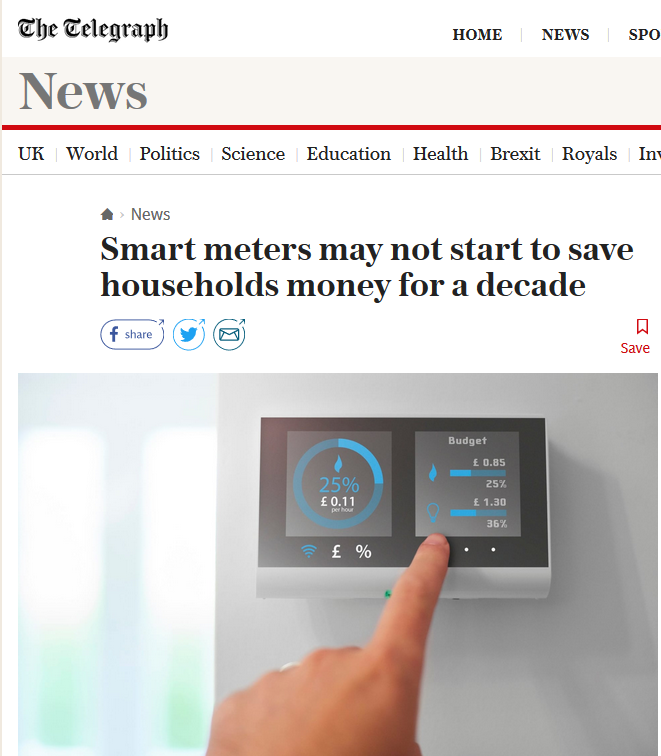 Smart meters may not start saving householders significant amounts of money until 2030 and will cost homeowners more than previously thought, the body which represents energy firms has admitted. When questioned yesterday by the Business, Energy and Industrial Strategy Committee of MPs, Energy UK’s director of supply, Audrey Gallagher, admitted that delays to the roll out of the devices could mean they may not save consumers significant amounts of money for years. Under the Government’s smart meter roll out, which is specifically designed to help households reduce their bills, every home must be offered one of the devices by 2020. Ms Gallagher told the committee that although the original impact assessment said that “big savings” would be seen by consumers by 2020/2021, this was now in doubt. It comes after spending watchdogs said the Government’s smart meter roll out is in chaos and could end up costing every British household £100 more than first expected. Multiple failings including delays and technical problems are threatening to add nearly £3bn, or around a quarter, to the cost of the project, according to the study published at the end of last year by the National Audit Office study. However an extra £3bn cost would mean an extra £93 charge on each household, effectively wiping out five years worth of savings generated by the devices, the report suggests. There is still a delusion that smart meters will save anything at all. But even on these official figures, the saving is only £18 a year (based on £93 = five years saving). But still Claire Perry refuses to move from her obsessive path. A few months ago, I mentioned that my darling daughter had smart meters fitted. I asked her the other day if she had actually bothered to look at them yet. You can probably guess the answer, but it begins with “N” and ends in “O”! ← Climate change: Will insect-eating dogs help?